Twelve of the best beers in the world are Belgian. Westvleteren has two beers in the top 100 and one single Belgian brewery has four separate beers in the top 100. Ratebeer is one of the most influential websites in the world of beer lovers. They've been credited with making Westvleteren 12 "famous" to the general public, proclaiming it several times as one of the best, and certainly one of the most elusive Trappist beers in the world. In its recent publication of "100 best beers" for 2015 there are 12 Belgian beers. 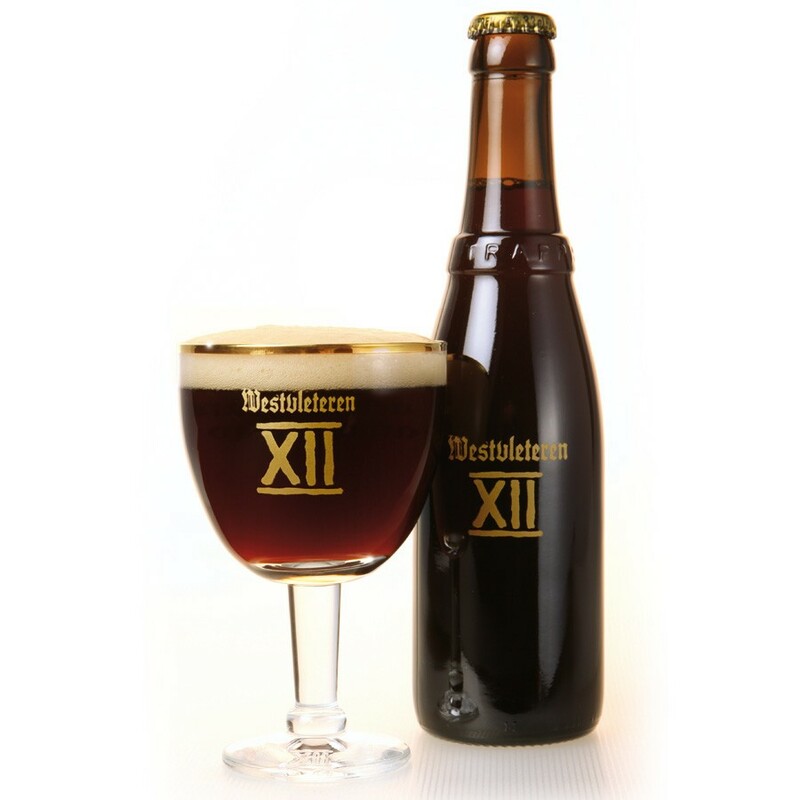 "Westvleteren 12 (XII)": The Westvleteren 12 trappist needs little introduction. Perhaps the most consistently highly rated beer in the world which is very difficult to find. Thankfully you can buy Westvleteren right here. "Westvleteren Extra 8": The younger brother of the Westvleteren 12. Slightly "lighter" with a blue cap. Hints of fudge, caramel and chocolate - what's not to like? Next up, the Struise brewery. They have an amazing four different beers in the world's 100 best. This brewery is located close to the Westvleteren brewery in a small town called Oostvleteren, just 1,5Km from the town of Westvleteren (this brewery has an interesting origin which I'll explain in a later blog post, specifically about this brewery). "Struise Black Albert": This is a stout beer which was created for the American Ebenezer pub in Maine. It's named in tribute to Alert II the sixth king of Belgium. It's packs a whopping 13% ABV and apparently is "dangerously" easy to drink. The brewers themselves call it more of an experience than just a drink. It's a black, tarry beer that hides the alcohol content very well and has a strong caramel like head. "Struise Pannepot": This is the brewery's first foray in to the world "extreme" beers, after having brewed mainly "safe" beers. It's named after the ships on which rough Belgian sailors would risk their lives to put food on the table. Taste include a coffee like bitterness with caramel sweetness. "Struise Pannepot Grand Reserva": Similar to the Pannpot but this one has been aged in Calvados oak barrels for 2 years. It was brewed in dedication to two Danish chaps who helped popularise the Struise beers back in 2004. "Struise Pannepot Reserva": Another version of the above beers which have been ages in French oak barrels of 225 liters. They've been left there a little less time than the Gran Reserva, which was transferred to Calvados barrels when the normal Reserva was bottled. 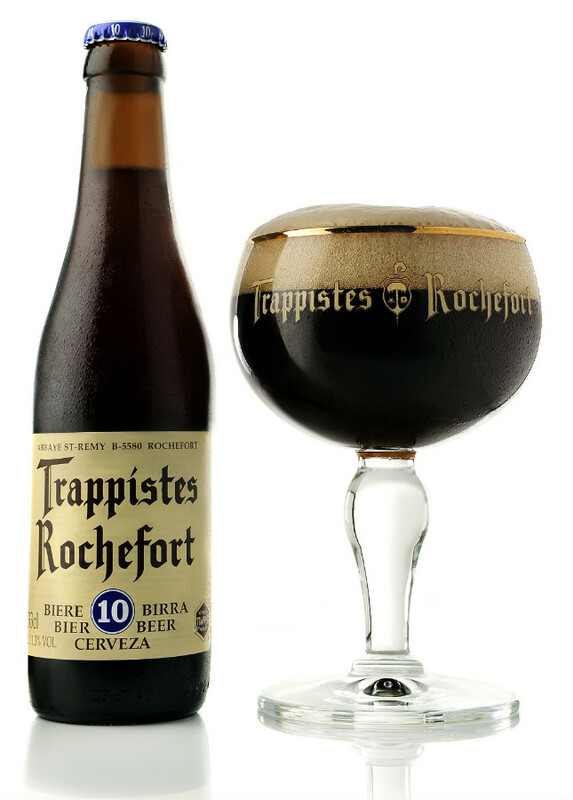 "Rochefort Trappistes 10": A classic easy to find Trappist here in Belgium. This is the bottle with blue cap and is a dark beer with 11.3% ABV. The brewery is located in the town of Rochefort, inside the abbey where currently just 15 monks reside. "Rochefort Trappistes 8": Aka "The Special". The slightly weaker version of the Rochefort 10, with a green cap and 9.2% ABV. It has a yellowish-brown color and has more of a fruity flavor. Started out as a beer brewed only for new year's celebrations but due to its success the monks started brewing it on a permanent basis as from 1960. "Rodenbach Caractère Rouge": developed in 2011 with top chef Viki Geunes. An exclusive beer created from cherries, raspberries and cranberries so this is definitely a fruity and red colored beer, coming it at 7% ABV. "3 Fonteinen Hommage": Another Belgian classic brewed in the town of Beersel. It's a "geuze" beer made from raspberries with an 8% ABV. A small amount of cherries are added for coloring. Contrary to other geuze beers, this one does improve with age. The "Hommage" refers to the brewer's respect to his father. "Cantillon Lou Pepe Pure Kriek": A Belgian geuze beer uses old lambic beers as its base and has a rather mellow taste. It's been held in barrels that used to contain wine. It undergoes a second fermentation from the addition of liquor, which also makes the fruit taste more intense. A liter of this beer contains up to 300g of fruit. "St. Bernardus Abt 12": Another classic Belgian trappist beer which famously shared the same recipe as the elusive Westvleteren 12. It's at the top of the hierarchy of beers brewed by St Bernardus and has a whopping 10% ABV, with a fruity aroma and white head.